I wrote this pattern over a year ago so I thought it was time I finally published it to the blog! 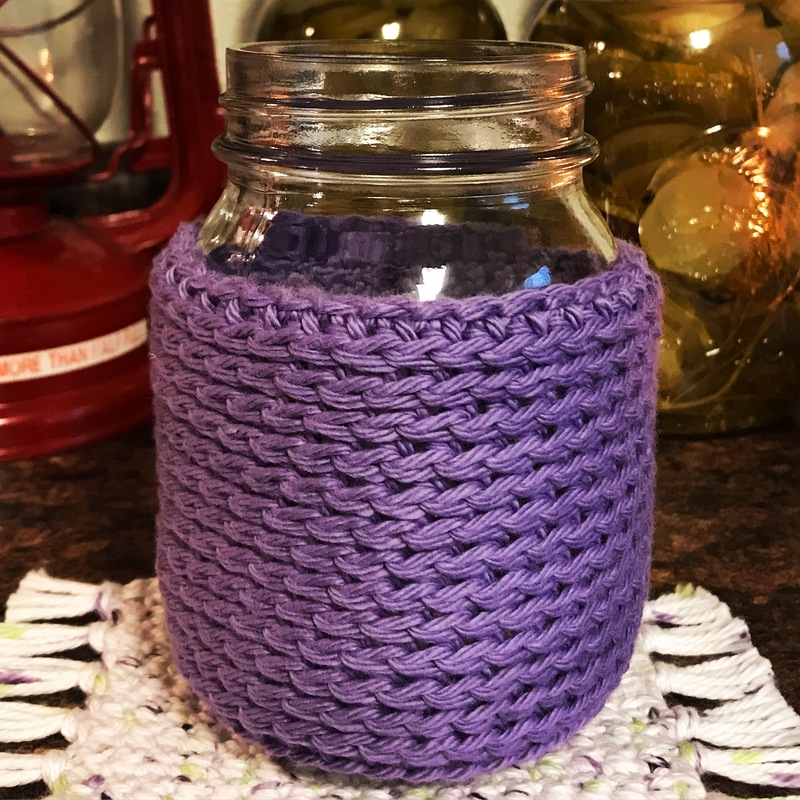 This cotton cozy brightens up any mason jar glass & I think it may make a great addition to your Spring craft show lineup. Hope y’all enjoy! This cozy will work up the same way as one of my bows if you’re familiar with that pattern. The exception will be that we will use 3rd Loop HDC vs HDC, BLO. Crochet in a continuous round. Do not chain one before beginning a new round. Slip st into last st to finish. You may sell products made from my patterns. I do ask that you credit my blog on your Etsy/websites as well as on all social media outlets by tagging me on Instagram (@southerndaycrochet). Please use #southerndaycrochet for a chance to be featured on my Instagram as well! I love seeing your work!! Thanks for trying my pattern!